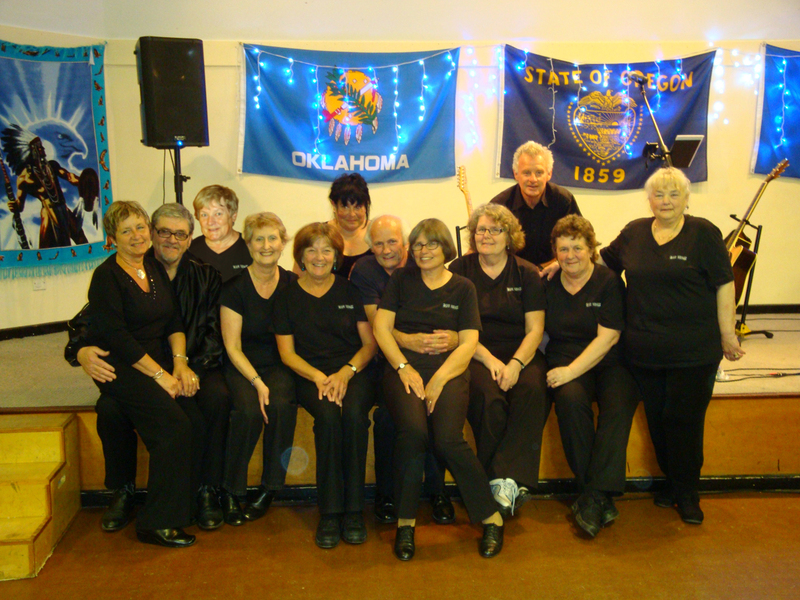 Situated on the South Coast, in West Sussex between the towns of Littlehampton and Bognor Regis is where you will find Dixie Belles Line Dance Club. Run by Jenny Bembridge, in association with BWDA2000, you will find a warm welcome awaits for all. 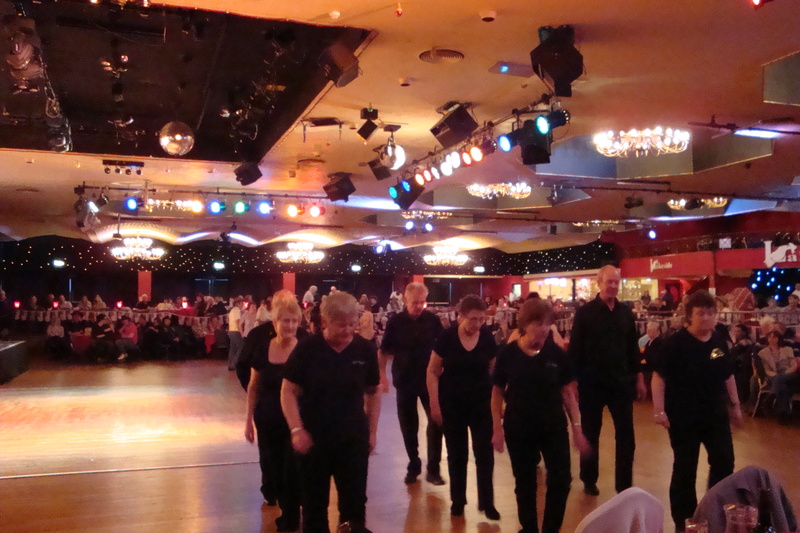 All levels of line dancing are catered for, absolute beginners, beginners, improvers, and intermediate. These take place at Clymping Village Hall, Clymping, and at Yapton & Ford Village Hall. Dances will take place at the Barnham Community Hall, Murrell's Field, Yapton Road, Barnham, PO22 0AY. The evening starts at 7.30 - 8pm and continues until 11pm. We usually start with a disco to warm you up then three sets of live entertainment, plus a raffle. See What's On Page for details. So why not come along and join us at the friendliest club on the South Coast. Whether you like to dance or just listen to the music everyone is welcome. Check below for full details of all lessons. Our charity dance this year was for something a little bit different. Since the Tsunami of 2004, the jungle schools and children of southern Sri Lanka have continued to struggle. In 2007 a team from The Littlehampton Academy (TLA) visited two of the jungle schools and have continued to work hard to establish good links with the area ever since. Every two years a team of students and staff from TLA visit them to support the children and help rebuild and improve their schools. These visits give students the chance to have first hand practical experience of working with the less fortunate Sri Lankan children and to experience the Sri Lankan culture and their way of life. The students lead workshops which include Basic English and Mathematics and take part in many activities in the schools. The main aim this time is to help refit the secondary school and a Sunday school with basic library items and help teach them to maintain their much need IT equipment. 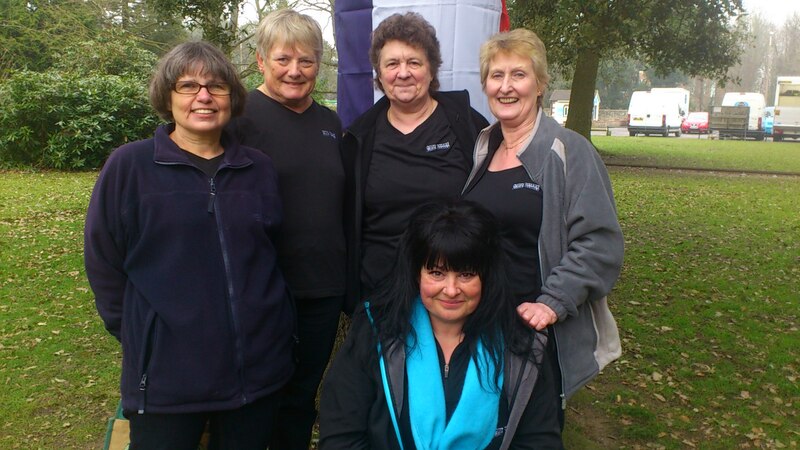 Each team member has to raise £1,200 through fundraising. No financial support is given by TLA to help the team do this. 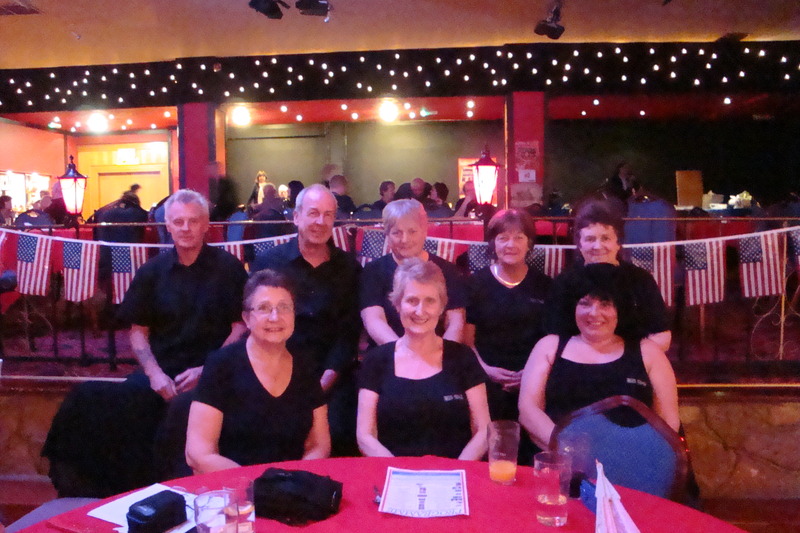 Dixie Belles Line Dance Club was asked by Sue Chant, the school nurse to see if we could help in any way, which resulted in a very grand charity dancing being held at The Littlehampton Academy. Our artist for the evening was the very talented Tony Rouse and with this being his last appearance at Dixie Belles it meant the evening had to be a very special one which indeed it turned out to be. The school kindly donated their wonderful hall for the occasion which was by far the biggest hall we have every used and I must say I was daunted at first by how we were going to fill it, but I needn't have worried because we sold over 140 tickets to fellow line dancers and members of the school. As usual Tony gave us a brilliant evening and unbeknown to him I had arranged for his very own Tony's Tarts - Jenny, Wendy, Angie and Brenda, to accompany him on 'plastic guitars' with his version of High Class Lady, which quickly did the rounds on facebook. Most people donated something for the raffle and the fiunal total raiseed was just ove £1,000, so a big thank you to everybody to took part, and how wonderful it was to see so many people, I wish every Friday night was like that. 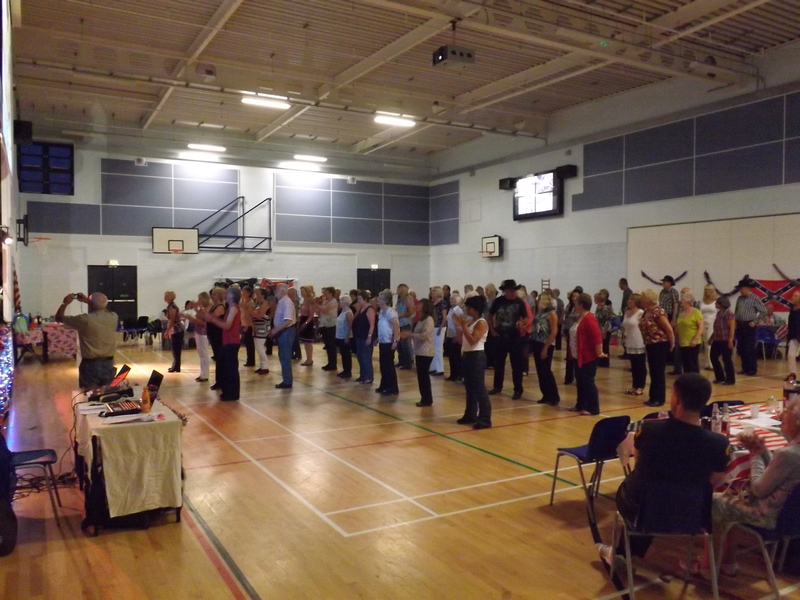 Once again we were asked to demonstrate at the Country Music Taster Day at Lakeside Country Club, in Frimley Green which took place on Sunday 7th April 2013. We did several dances this year including 'I Wonder in Whose Arms' from last year. I think the star of this year's show must have been Tracy from Shinola Rhode, together with her husband 'Stig' Rob Thompsett. Her performance of 'Working Man' was absolutely brilliant, she hasn't been on the scene very long but has certainly made a lasting impression, and I can't wait to see them on the line dance circuit. We were also approached by some third year students in Event Management, from the University of Chichester, to see if we could help with their event, Rox in the Park, for their disserations. The event was held in Hotham Park, and on a very cold day as you can see from the photo below, we turned up to demonstrate and hold some workshops. Several dance workshops took place including Argentine Tango, Belly Dancing, and Street & Hip Hop dancing. 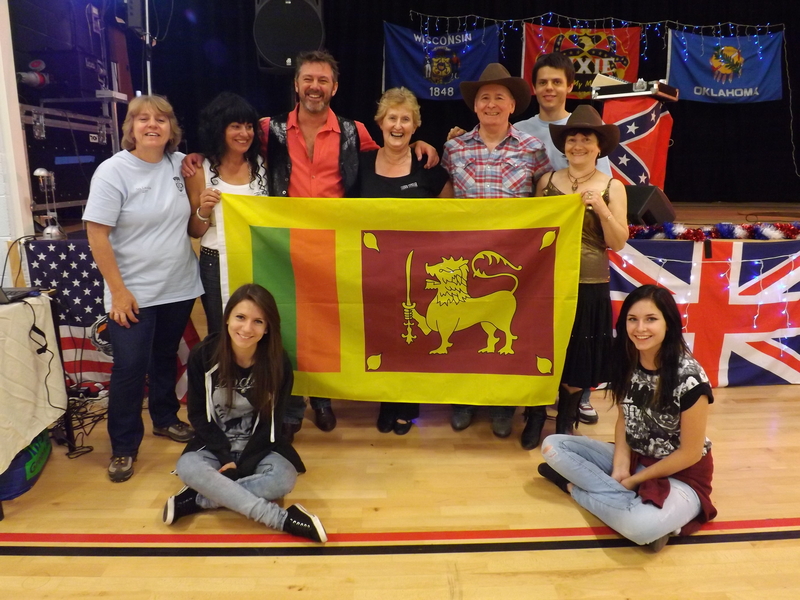 I was recently asked by 'Stig' Rob Thompsett if we would be interested in demonstrating a dance which he had recently recorded to the song of 'I Wonder In Whose Arms' at the Country Music Taster Day at Lakeside Country Club on 22nd April. The dance, 'I Wonder', was written by Gay Teather. We all had a thoroughly enjoyable day dancing to a whole range of mostly new country artistes, the most impressive being from a 13 years old girl, Caity Bear. If she keeps going at this rate I am sure she will have a fantastic career in the country music scene. I would like to say a very big thank you to Sylvia McMaster for putting on the showcase. The photo shows some of the Dixie Belles who took part in the demo. In September 2008 I was approached by Take A Break magazine who wanted to run an article about dance and exercise. They wanted two volunteers from our beginners lesson to take part in a six week session. Two ladies were chosen, and where contacted throughout the weeks and asked various questions about how they were progressing, and if they had any funny stories to tell. At the end they were then taken to a photo shoot and the end result was shown in the New Year editon of the magazine. Linedancer Magazine then featured the article in their March issue, so if you are a member you can check out their website at www.linedancermagazine.com. 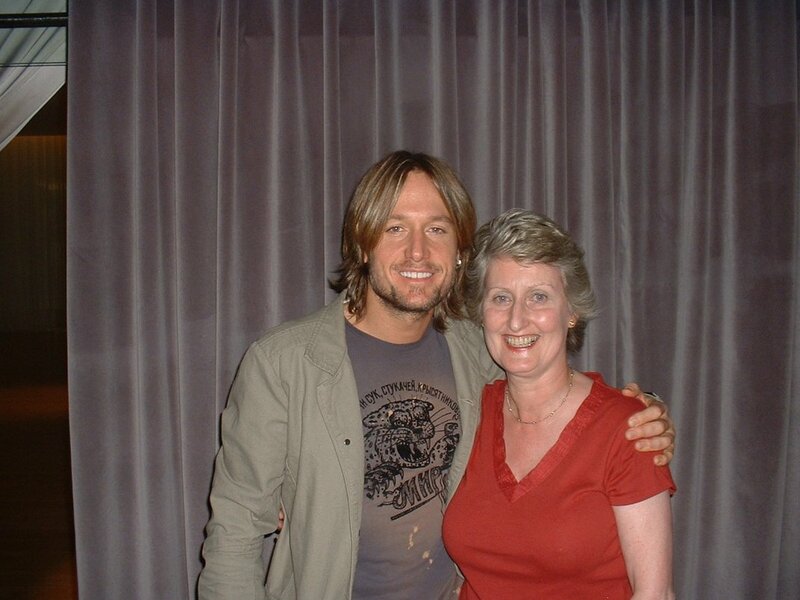 I consider myself to have been very privileged and lucky to have been able to meet Keith Urban on his visit to London. Some fans came as far as Scotland and one lady had even travelled from France. We all met in a pub beforehand to get to know one another, along with Madeline who had organised this wonderful event for us. We are then taken to the hotel to meet Keith. He came across as a very kind and considerate man, probably more nervous at meeting us then we were meeting him. He signed autographs for us and we all had out picture taken with him. I mentioned that I had seen him in Nashville a couple of years ago and told him about Dixie Belles. He very kindly signed a photo to 'All the gang at Dixie Belles'. Afterwards came the showcase, which took place in a nearby club. This was mainly for the music industry and although it was an attempt to dull down his country image, it did not deter us from having a great time. I am not sure how it was really received but we were all on cloud nine. Then it was off to the pub again with our goodie bags to exchange views and photos. He certainly made 12 ladies very happy women for a couple of hours. He is supporting Bryan Adams on the 13th May at Earls Court, and is also appearing at the Scala in London on the 16th May. I was also very lucky to have seen Gretchen Wilson on Monday at the Carling Academy Islington in London. What a great show this was, and how nice it was to see in the audience some of the British Country Artistes there, Billy Bubba King, Gemma Fairweather and Rob Childs from Vegas. Although I didn't manage a photo I was lucky enough to get her autograph.